Easter is kind of a weird holiday for me because I don’t really remember Easter holiday traditions growing up. I remember hiding eggs, destroying hard-boiled eggs by throwing them at trees, and hanging out at a park along the river in Centralia, Washington. I don’t remember if this is something we did every Easter or just one particularly memorable one. As Easter creeps up, I usually call my mom for Easter advice. What did we do for Easter as kids? What should I make for dinner? She tells me that we would buy Easter dresses and go to church, both things I know I will not be doing. Just like all of the other holidays, we have worked on making new traditions with our family. Easter is still a bit of a mystery to me. Some things are a given. We will have Easter baskets delivered to the front door by the Easter bunny. We will have an egg hunt in the backyard with plastic eggs filled with money (fill them with candy and the ants get in there quick) and maybe some time by the pool. We will have some sort of special brunch/dinner to celebrate time together as a family. 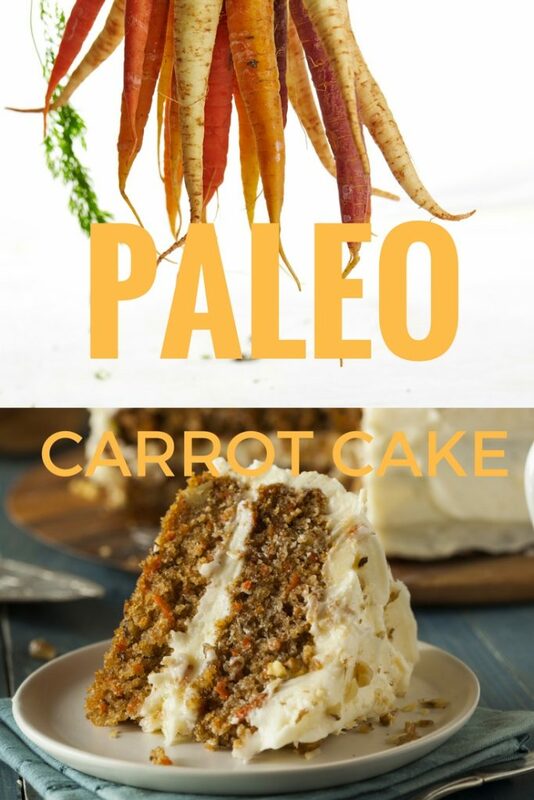 I still haven’t solidified the menu, (most likely something like this or this), but I do know that paleo carrot cake will be on the table. I will be on Day 20 of my Whole 30 so I won’t be indulging but I know that everyone else will enjoy this and I don’t have to feel guilty about feeding them too much sugar. 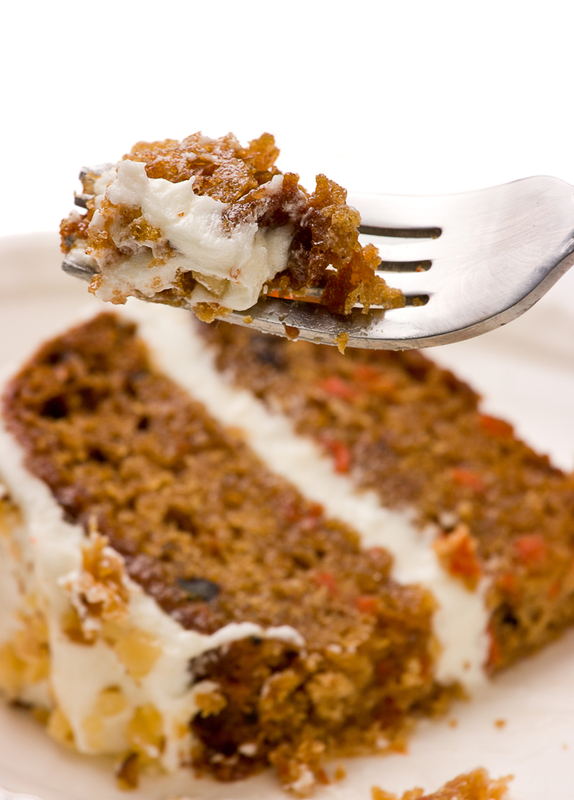 The cake is mostly carrots, raisins, almond flour and nuts making it perfect for gluten free or Paleo eaters. 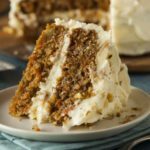 I did top mine with a honey cream cheese frosting (and more nuts!) which isn’t Paleo. If you are looking for a paleo frosting, I recommend this one. I also like it without the frosting–it is that good. I would love to hear about your families Easter traditions. What are you doing on Easter Sunday? Looking for something to do with all of those hard-boiled eggs after Easter? We will be making these. 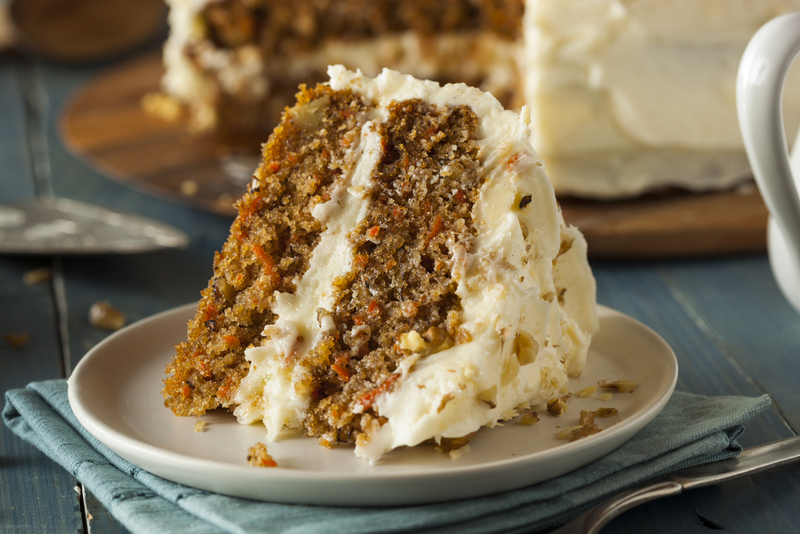 A delicious carrot cake made gluten free and Paleo, perfect for your Easter dinner or anytime of the year. Preheat oven to 350 degrees. Prepare two 8 inch cake pans by cutting a circle of parchment and placing on the bottom. Grease and flour the bans. In a large bowl, combine flour and spices (including baking soda). In a separate bowl, mix the eggs, honey and oil. Pour into prepared pans and bake for about 40 minutes or until an inserted toothpick comes out clean. Let cool for about ten minutes in the pan and then remove and let cool on a rack. 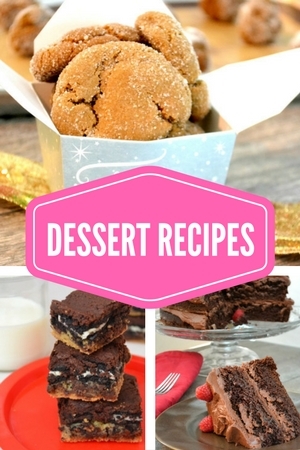 If you are looking for a good Paleo frosting, check out this recipe. I frosted with a honey cream cheese frosting and topped with additional nuts.